My pick is Deliverance by C. J. Redwine! Oh my word, this series. I love these books so much, and I can't wait to find out how it all ends in Deliverance. This is probably one of my favorite YA fantasy series - it's perfect for fans of The Girl of Fire and Thorns or Grave Mercy! Plus, the cover designers stuck to the same theme for all three covers, which makes me all kinds of happy. This means all my covers will match, you guys. 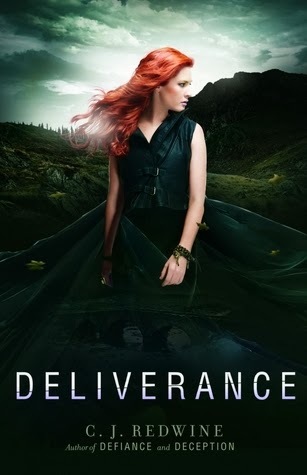 Deliverance releases on August 26, 2014. I haven't read this series yet but I love the covers! Maybe I'll pick them all up when this one is released, Great pick! I need to start this series, it looks awesome! Great pick!